Robin Zwirtz is the founder of BirdDog Software. Robin’s innovative approach and in-depth knowledge of business processes have led BirdDog Software to become the premier provider of e-commerce and commercial solutions in the Enterprise Software market Macola world. 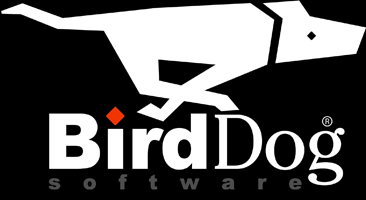 BirdDog has achieved this status by helping its business partners build cutting edge e-commerce, distribution, and point-of-sale solutions for their multiple demographic client base, ranging from new business start-ups to mid-large size companies. Robin founded BirdDog software in 2003 after selling his previous company, Edge Consulting Group. Robin used his same energetic and innovative approach, as well as his thorough knowledge of the manufacturing process, to lead Edge Consulting Group to become one of the most respected and trusted Macola Partners. Edge was a consistent annual top performer for Macola. Robin has always been an entrepreneur at heart. Even when he served as the production manager for a million dollar distribution and manufacturing company – where he cut his teeth and gained valuable insights into the manufacturing process. It was after this experience that Robin launched his first company, Edge Computing, Inc. Edge Computing, Inc. was formed in 1992 and specialized in computer hardware sales. During this time, Robin first partnered with Macola. In 1995, Robin saw the possibilities of expansion, building upon his distribution and manufacturing experience. Robin quickly refocused his efforts on the consulting aspects of the business, and eventually formed Edge Consulting Group. Robin is a graduate of Southern Nazarene University with a Bachelor’s Degree in Computer Information Systems. Over the last two decades, Robin has been able to utilize his academic training, real-world experiences, and his keen insight into both current and potential trends in manufacturing and distribution to assist clients across the United States. As a respected leader in the Enterprise Software and Macola business worlds, Robin has been asked to both speak to and instruct others on a variety of business processes. Jeremy Moberly brings more than 10 years of experience in high-tech sales and customer relations to his role in leading BirDog Software's sales and distribution channels. Since joining BirdDog Software in 2005, Jeremy has brought energy and creativity in spades, and features the ability to influence company success from the inside out. In his time away from the office Jeremy enjoys traveling, quality time with family, participating in world missions, sports and of course cheering for his hometown Sooners and OKC Thunder. Hired in 2007, Daniel is a US Army Veteran and published illistrator. Already a noteworthy artist from an early age, Daniel gradually shifted his focus to digital media, becoming a certified web and graphics designer. Daniel is a specialist and is chief molder and shaper of all BirdDog websites and user interfaces while also lending his talents to print advertising and corporate identity creation. He is an expert in all things HTML/CSS, Adobe Graphics software and is an effective, results-driven design consultant. Jim is a retired U.S. Air Force veteran with over 20 years of hardware & software experience combined with over 15 years of managerial experience. Jim provides front line communications and technical assistance to our valued BirdDog clients. Greg is part of the original crew that launched BirdDog Software and has done his share in getting BirdDog Software where it is today.With 20 years of experience as project manager and web developer, Greg has demonstrated an eye for detail and a taste for excellence.Having over 50 successful projects under his belt, Greg lives and breathes to make you a BirdDog fanatic.